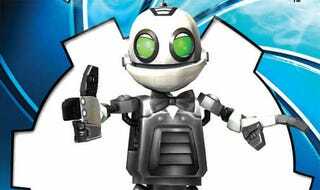 Secret Agent Clank Also Getting The PSP To PS2 Treatment? Looks like Sony will be bringing former PSP exclusive Secret Agent Clank to the PlayStation 2, one those 70 games coming to the last-gen PlayStation, according to a new listing from GameFly. Ratchet & Clank fans may remember the previous PSP outing, Ratchet & Clank: Size Matters also went from the PlayStation Portable to the PlayStation 2 about a year after it first hit. The existence of the PS2 version was revealed via a similar retail listing at GameStop with an official announcement arriving one month later. GameFly shows the PS2 version landing in May. If true, Secret Agent Clank will join PSP hits like Silent Hill Origins, Grand Theft Auto: Liberty City Stories and Grand Theft Auto: Vice City Stories as up-ported once-exclusives. It will also mean one more title stealth announced by GameFly, who excels at revealing games prior to official announcements. We're checking in with Sony to see if they feel like confirming the game's existence.